"I Don't Care" & "The (Shipped) Gold Standard"
Sehr enttäuschend... knüpft in keiner weise an seinen Vorgänger an. Schade. 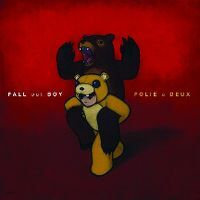 A slight disappointment after the amazing From Under The Cork Tree and Infinity On High, but still a great album. Best songs are What A Catch Donnie and I Don't Care. It's a fairly solid listen but is too erratic and doesn't have tha killer song unfortunately. Highlights were, I Don't Care, America's Sweethearts & What A Catch, Donnie. Not as good as Infinity On High but still a great effort.